The Buzzer blog » Take the Commuter Challenge from June 4 – 10 and be less driven! Take the Commuter Challenge from June 4 – 10 and be less driven! First we had the Rush Hour Challenge, followed by Spring Bike To Work Week. Now, it’s time to continue the sustainable transportation celebration with the Commuter Challenge! The Commuter Challenge is a week-long event held in conjunction with Canadian Environment Week, June 4–10, 2017. This fun and friendly competition challenges Canadian cities and workplaces to leave their cars at home in favour of walking, cycling, carpooling/ride-sharing, taking transit and telecommuting. 1. 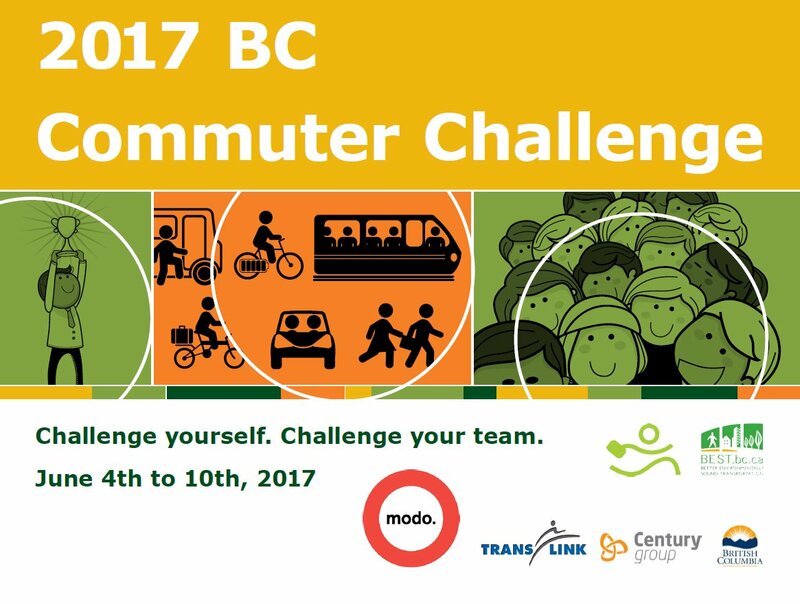 Register for the Commuter Challenge as an individual (or join an existing workplace team), workplace, or region. 2. Walk, cycle, carpool, take transit or telecommute during the event week (June 4 – 10). 3. You log your commutes online and watch your impacts add up! 4. Share your progress on social media using the hashtag #CommuterChallenge. Join the multi-modal movement and celebrate, compete and win some great prizes while boosting both your physical and mental health! Looking for additional multi-modal fun from May 29 – June 8? Take part in the City of North Vancouver Walk-Bike-Bus Scavenger Hunt! Check out the City of North Vancouver website for full details, and to download the passport.